Thirty-six billion IoT devices will be in use by 2020 — that’s at least four IoT devices for every person on the planet. Global spending on IoT devices and services will top $1.5 trillion in two years. Yes, the IoT market numbers are staggering. 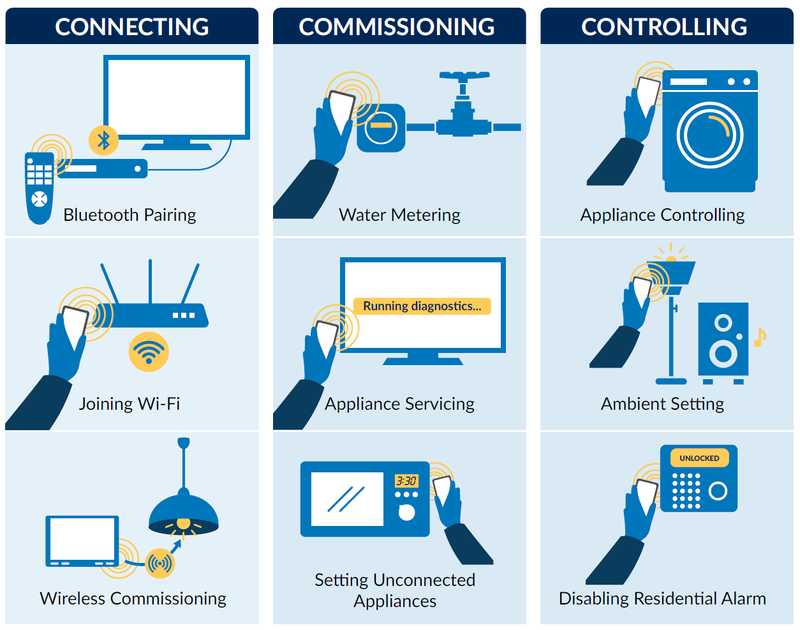 But what you may not know — the secret behind the IoT story — is that the job of commissioning, connecting and controlling these devices, from household items to health monitors to sports devices, will fall to a handful of technologies already in use today. I’m convinced that near field communication (NFC) technology will be the technology of choice for enabling IoT devices and that NFC tags embedded in IoT objects will provide us “connectivity on our terms.” NFC technology enables simple and safe two-way interactions between electronic devices, at a distance of less than 10 centimeters, allowing consumers to perform contactless transactions, access digital content and connect electronic devices with a single tap. Best of all, NFC technology now comes standard on smartphones. That’s right; the majority of people reading this sentence right now have NFC technology in the palm of their hand. 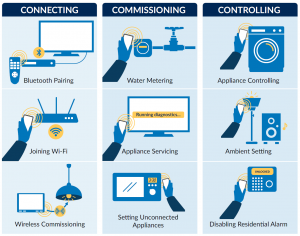 NFC tags and smartphones provide users with everything they need to connect and manage an IoT device — when, where and how they desire. This is why I believe the use of tags and mobile handsets will be the generally accepted way we will interact and connect with IoT devices and systems. NFC is a powerful and commonly available technology capable of delivering on the promise of an IoT-enabled world. Another reason I’m bullish on NFC as the IoT-enabler is that, along with providing “connectivity on our terms,” NFC technology is very secure and designed for sensitive uses, such as IoT applications in payment systems, transport, ticketing, corporate access and cloud computing authentication. NFC is a tested, proven, sophisticated, easy-to-use technology that 2.2 billion people on the planet already have access to. There are some recent indicators of where the early growth will be with NFC and IoT. Two areas where we are seeing a significant surge of NFC and IoT are in wearables and public transportation applications. Wearable device shipments are expected to top 173 million units within the next year. Many of the applications for these IoT devices use NFC for payment or health monitoring. Public transportation is an equally robust area with over 1,000 cities already using contactless technology for payment and access to transportation. IHS Markit and Juniper predict that the mobile ticketing market will grow by almost 20% CAGR over the next three years. The promise — and potential — of IoT is enormous. Analysts predict that in the not-too-distant future, 80% of the world’s economic value will come from connectivity improvements to existing cars, devices and IoT. Our organization, the NFC Forum, recently addressed this opportunity at our member meeting last month in London. We held an event highlighting how NFC simplifies the internet of things and delivers a straightforward, remarkable customer experience. Join the NFC Forum today to get involved.